London, the capital of the United Kingdom, is a stunning example of history and modernity existing in perfect symphony. The Buckingham Palace, The Westminster Abbey, the Houses of Parliament and the iconic Big Ben form the center of the city, complemented by a rich urban fabric, developed over centuries of evolution. The River Thames runs through the middle of London, its banks connected by the historic bridges, and marked by the iconic London Eye observation wheel. London presents a rich mix of art, culture, theater, shopping and gastronomy, interspersed by royal sites, architectural splendors and historic gardens. To experience London at its regal best, here are the 15 best 5-star hotels you should consider staying in. 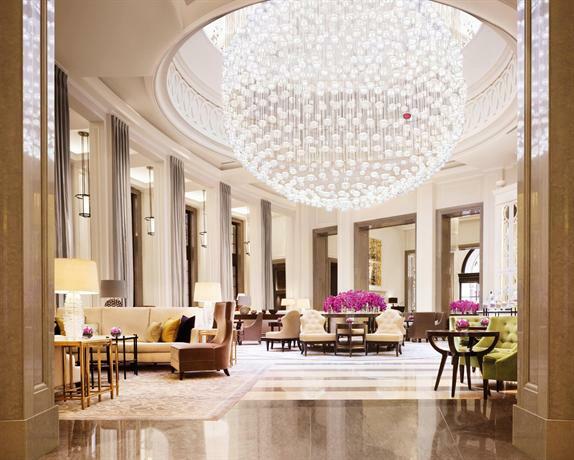 Four Seasons at Park Lane checks every box imaginable in terms of the lavish London experience. 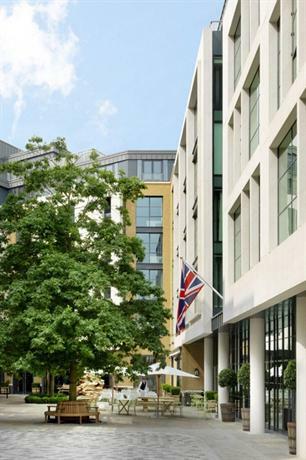 For starters, its coveted location on Park Lane, minutes away from Mayfair and Oxford Street, and a stone’s throw from Hyde Park, places you right in the heart of London’s most affluent areas and world-famous shopping destinations. Here, housed within an elegant ivory exterior, are suave, walnut paneled guest rooms, suites portraying a fine balance of classic and contemporary tastes, and configurable units that can take the shape of 1-, 2- or 3-bedroom residences. Accommodation in Four Seasons at Park Lane has USPs including fireplaces, private terraces, floor-to-ceiling windows, and stunning views of Hyde Park and the surrounding cityscape. Creature comforts on offer include plush furniture, underfloor heating, state-of-the-art gadgetry, and opulent marble-and-brushed-silver bathrooms. Crafted by Pierre-Yves Rochon, one of the world’s most celebrated interior designers, the ambiance at Four Seasons hits the right notes between unabashed stylishness and understated elegance. Complementing the guest rooms are eclectically styled lobbies, restaurants and common areas, complete with red velvet furniture, crimson drapery and oil paintings flanking neon counters. Crowning the hotel is its famous rooftop spa with its panoramic views of London. Avail of the renowned Four Seasons hospitality and service standards at their Park Lane premises. A multilingual concierge is available round-the-clock, and helpful yet unobtrusive housekeeping staff leave you no cause for complaint. 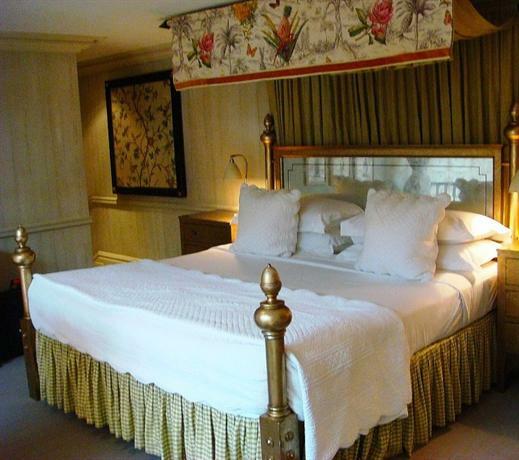 The Lanesborough brings a distinctly English flavor to your London getaway. Its Hyde Park Corner location has a history of its own, having once served as the address for St. George’s Hospital. Today, it houses what is deemed to be London’s most expensive hotel. 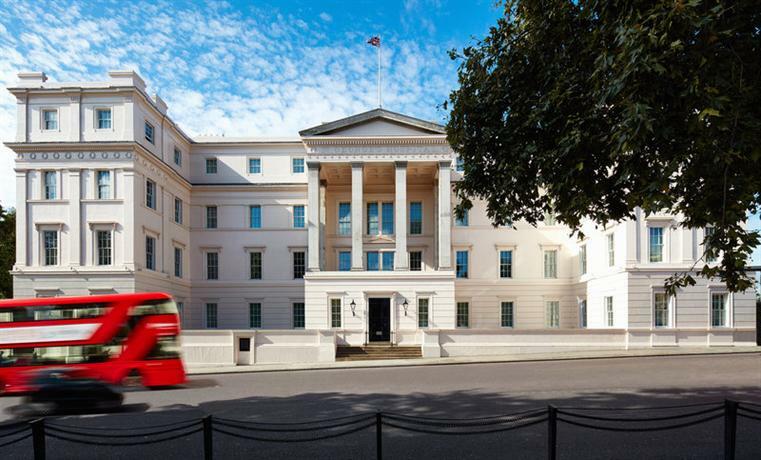 The iconic Lanesborough has recently been renovated to portray a fascinating collage of Regency-era grandeur, quintessentially English hospitality and service, and an overlay of ultra-modern amenities. Stay in ornate rooms and suites where hand-stenciled wood paneling, Wilkinson chandeliers and genuine 19th century artwork, are complemented by automated nightlights, high-speed Wi-Fi, and digitally accessible hotel information and curtain controls. Have your very own butler attend to your beck and call, regardless of the type of room or suite you’re in. Treat your palate to the sumptuous fare at the award winning Céleste restaurant, or partake of old-world gems including an afternoon tea service. While the hours away at the intimate Library Bar, and enjoy exclusive access to the Lanesborough Club & Spa. When you’ve had your fill of Regency-era time travel, head out to the neighboring areas of Knightsbridge, Hyde Park and Mayfair, some of London’s most affluent and fashionable neighborhoods, all within walking distance from the Lanesborough. At Carlton Court, your stay in London graduates to the next level: the experience of actually living in one of the most exclusive neighborhoods of the city. At these luxurious serviced apartments, located in the heart of Mayfair, you have celebrities for neighbors, and are minutes away from the Buckingham Palace, St. James Park and Piccadilly Circus. Besides, a wide range of tailored services and amenities make Carlton Court a great choice for both short and extended stays in London. The property consists of 1-, 2- and 3-bedroom self-contained apartments, as well as a palatial 4-storey, 5-bedroom townhouse with its own parking space. All apartments are equipped with fully functional kitchens and bathrooms, washing machines, dryers, dishwashers, high speed internet, music systems, and recordable HD television with international channels. 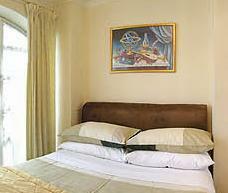 Additionally, the apartments are beautifully furnished, centrally air conditioned and equipped with underfloor heating. Hospitality at Carlton Court meets all 5-star hotel standards. A sumptuous breakfast hamper is included in your rent, as are daily housekeeping services, 24-hour security and on-demand maintenance. Guests at Carlton Court can thus avail of 5-star luxury, together with the added perks of a prime location, ample space, and the ability to customize their London holiday. Corinthia Hotel, located in the vicinity of major London landmarks including the Thames and Charing Cross station, is something of an icon by itself. With the Embankment tube station, St. James Park, Trafalgar Square, South Bank and the Houses of Parliament just walking distance away, you couldn’t ask for more convenient base from which to organize your London holiday. Further, Corithia is a hotel with history, having once served as the 600-room Metropole. Continuing the legacy of its predecessor, with due attention to modern luxuries, Corinthia Hotel presents a heady mix of magnificent chandeliers, Mid-Century furniture, modern art and sophisticated technology. Its 251 rooms and 43 suites overlook the river, bustling streets and quiet courtyards, and are plugged in with underfloor heating, Nespresso coffee machines, complimentary high speed internet, and state-of-the-art media players. Bathrooms are spacious, finished in Italian marble, and fitted with tropical rain showers. 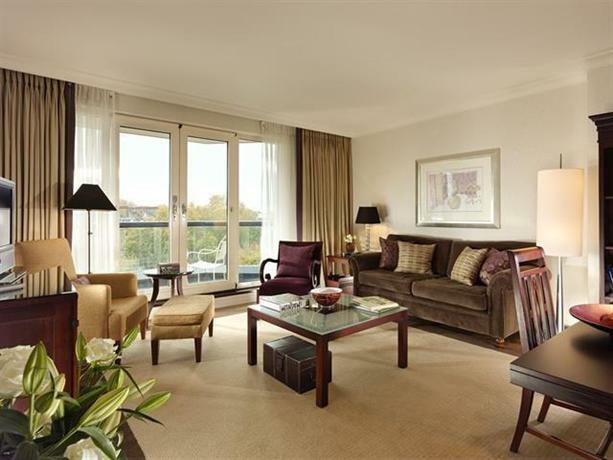 Corinthia Hotel also offers 7 luxurious penthouses with round-the-clock butler service. It also houses 2 restaurants, a bar, and ESPA’s flagship spa. The latter occupies 4 floors and offers myriad means of relaxation, from private spa suites, loungers and sleep pods, to an amphitheater sauna, swimming pool and steam room. For added convenience, Corinthia Hotel has a 24-hour check-in policy. Rosewood London, a 5-star hotel in Covent Garden, is popular among London residents and visitors. Within walking distance from the Holborn tube station and the Royal Opera House, its street-facing Holborn Dining Room and Scarfes Bar attract throngs of Londoners every day. 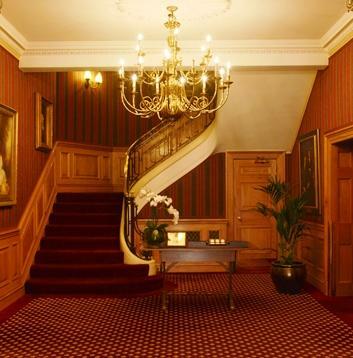 The hotel itself is removed from the hubbub, and housed in an opulent Edwardian mansion with a grand entrance court. The building showcases impressive marble pillars and paneling, and a majestic marble staircase capped by a 160-foot high cupola. The hotel deliberately blending the experience of living in 19th century London, with the complete range of modern creature comforts. Its 262 rooms and 44 suites, all redesigned by Toni Chi and Associates, combine elements of traditional English manors with a modern style quotient. From high-ceilinged rooms with urban views, to spacious family rooms, to elegant suites with bespoke furniture, to one-of-a-kind signature suites designed in a variety of themes, guests are spoilt for choice at Rosewood London. Room amenities include complimentary Wi-Fi, Nespresso coffee machines, flat-screen TVs and high-quality music systems. The suites also offer dedicated butler service. Besides the Holborn Dining Room and Scarfes Bar, Rosewood London also has a deli, a terrace seating area, a bar, and a luxury spa reserved exclusively for guests. 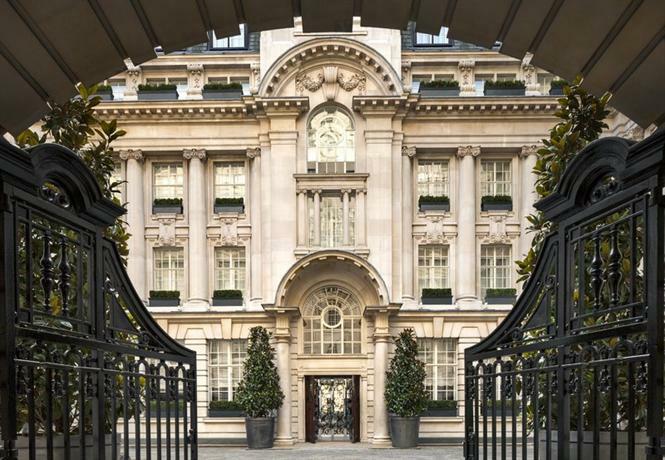 Marriot’s Grand Residence Club is an elegant apartment-style hotel housed in an Edwardian townhouse, located in upscale Mayfair, minutes from Hyde Park, Park Lane, Buckingham Palace and Marble Arch tube station. Accommodation here takes the shape of 1- and 2-bedroom units, with separate living/dining rooms and elegant marble bathrooms. These stylish apartments are equipped with plush furniture, fireplaces, complimentary Wi-Fi and cable TV. Default services include daily housekeeping and 24-hour room service. Guests can choose a Continental or American breakfast, or fix their own meals in their fully-functional kitchens. A grocery store is conveniently located within the property, along with a guest laundry and a business center. 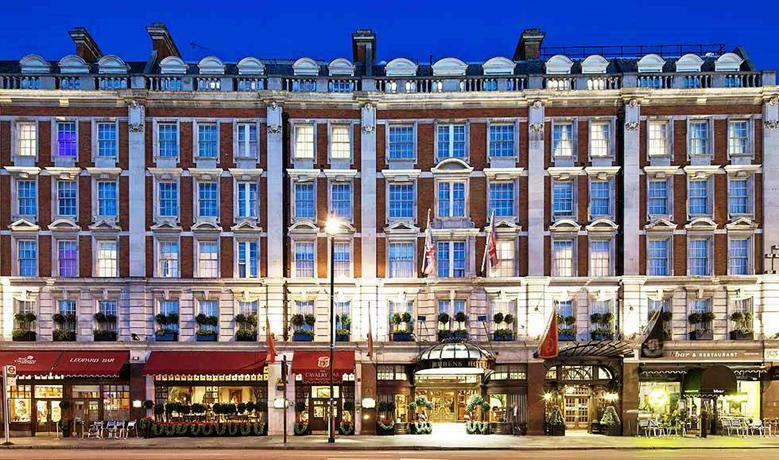 A luxury hotel that also lets you connect with the urban fabric and flavors of London, Ham Yard Hotel is located just 2 minutes away from Piccadilly Circus tube station. Nestled amid the neon signs and busy buildings of its urban village setting, it unfolds in a U-shape around a court, bringing suites, apartments and recreation spaces together in a lively yet stately blend. The light-filled interior of the Ham Yard Hotel has double height multipurpose areas, sprawling restaurants and terraces, rich fabrics and catchy artwork. Its 91 rooms and suites, and 24 self-contained apartments, are all spacious, showcasing a vivid mix of colors and textures, together with floor-to-ceiling windows overlooking either the courtyard or Soho’s hubbub. Affordably priced food and drinks further add to the charm of this unique hotel, drawing tourists and locals alike. 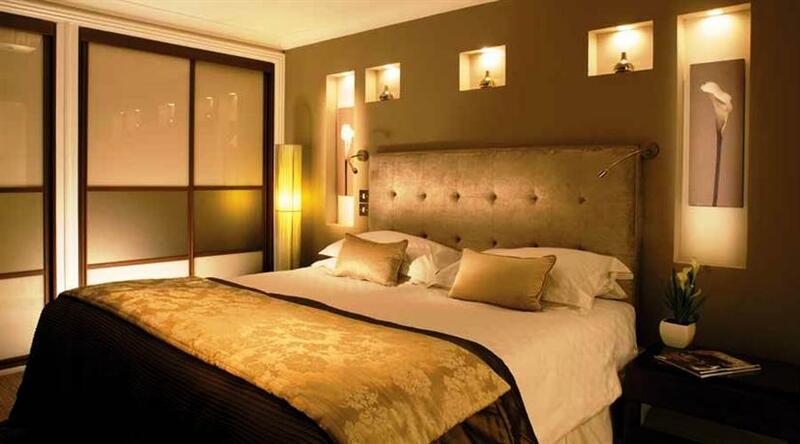 Hotel 41, on Buckingham Palace Road, offers a chic, intimate escape right in one of London’s most exclusive areas. Located across the street from the Buckingham Palace, and minutes away from Victoria Station and St. James Park, it packages old-world charm with modern luxury in a collection of compact but well-appointed rooms, suites and terrace apartments. A striking black-and-white theme characterizes the accommodation, together with coveted views of the Royal Mews. Amenities include free Wi-Fi, tea/coffee machines, and smart TVs and audio systems. Service here is thoughtful and personalized; your children get their own mini-bathrobes, and your pets their own concierge! Hotel 41 also has a cozy champagne bar and a restaurant. Cheval Gloucester Park, a collection of elegant serviced apartments bang in the middle of Kensington, lets you enjoy your kind of holiday in London. A mile away from Knightsbridge, minutes away from Hyde Park, Kensington Gardens and Chelsea, and well connected to public transit, the property is a popular choice among frequent visitors. The apartments are spacious and elegant, with private balconies and impressive garden and city views. They are equipped with flat-screen TVs, DVD players, and the full range of home and kitchen appliances. A 5-bedroom penthouse sits atop the building, offering an ultra-spacious setting and panoramic views of the city. 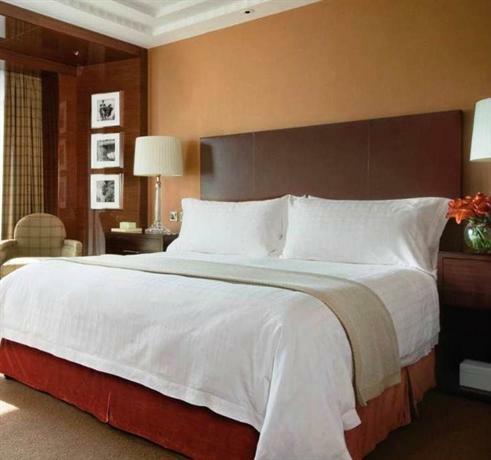 All guests can avail of daily housekeeping services, a 24-hour concierge, free Wi-Fi and an on-site gym. Immerse yourself in the cultural delights of London, by staying at Covent Garden Hotel, walking distance from the Royal Opera House, and minutes away from the best restaurants, bars, cafes, pubs and shopping areas of the city. Rooms and suites here have country-chic interiors, unique modern art, granite-and-oak bathrooms, and the full range of modern amenities. Other perks of staying at Covent Garden Hotel include the popular in-house Brasserie Max with its delectable menu, a bar, lounge, day spa, and even a film screening room. The Goring is built around luxurious family getaways. 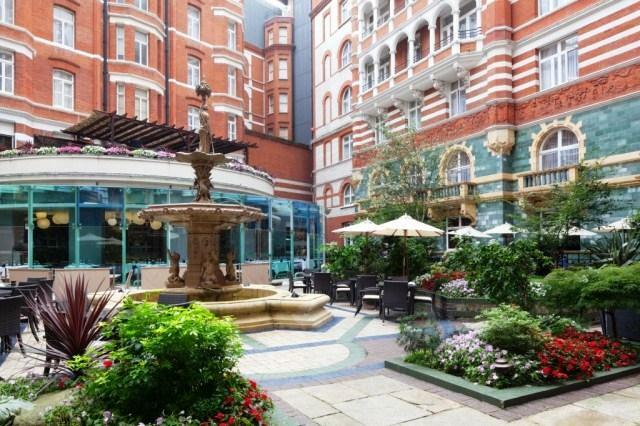 Located in upscale Westminster, minutes away from Buckingham Palace, this family-run hotel is over a century old and operates out of a majestic Edwardian building. 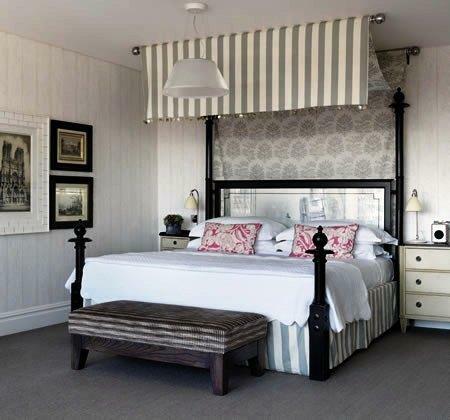 Rooms and suites here are reminiscent of classic English country-houses, each featuring unique vintage furniture, fabrics and artwork. These are overlaid with modern amenities and creature comforts, and perfectly complemented by private garden views. Afternoon tea is served in the traditional fashion on the terrace and in a stately lounge, and delectable English cuisine in the Michelin-starred, period-style dining room. Taj 51 Bukingham Gate Suites and Residences operates out of an Edwardian-Victorian building surrounding St. James Fountain, in the heart of Westminster, minutes away from Buckingham Palace. This is an all-suites affair, with 1- to 6-bedroom units, each designed in a specific style. Suave, well-equipped 1-bedrooms for business travelers, spacious 2-bedroom family suites with kitchens, plush residences optimized for relaxation, or glamorous velvet dipped suites for a ‘cinematic’ experience, there’s something here for every variety of guest. Butler service, fireplaces, bespoke furniture, afternoon tea and spa access, are just some of the many perks at Taj 51 Buckingham Gate. Repurposed from an old warehouse, and situated in the heart of London’s performing arts scene, the stylish Soho Hotel has a story of its own. This is evident in its 91 individually designed rooms and suites with their floor-to-ceiling windows and suave granite bathrooms. Some premium suites have attached terraces, champagne, breakfast and butler service. Sample the delicious offerings at the chic restaurant and bar, enjoy a traditional English afternoon tea service, unwind in the day spa, or catch a movie in any of the 2 screening areas. An ensemble of 21 luxurious 1- to 4-bedroom apartments, Beaufort House in Knightsbridge is within walking distance from Victoria & Albert Museum and South Kensington tube station. Apartments here have plush furniture, fully-functional modern kitchens, flat-screen TVs with international channels, and free Wi-Fi. Some units have private terraces or patios. A concierge is available round-the-clock, and daily housekeeping included in the tariffs. 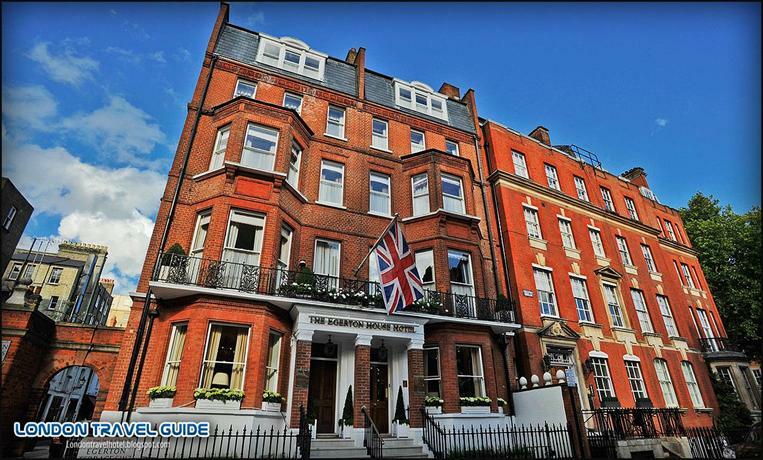 Egerton House Hotel is housed in two 19th century townhouses in Knightsbridge, minutes away from South Kensington Tube Station, Victoria & Albert Museum and The Royal Albert Hall. Its quaint exterior encloses a collection of 28 luxurious rooms, a drawing room, and a cozy bar and lounge. Expect to chance upon an original Picasso painting in your room, and receive in-room spa treatments and massages. Enjoy breakfast at any hour, and a traditional English afternoon tea service every day. 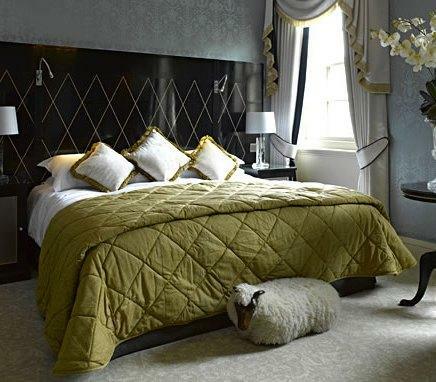 Egerton House Hotel even offers dedicated concierge services to look after your pets.